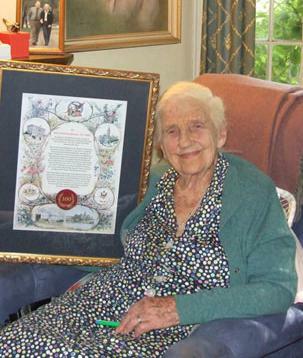 Dame Elisabeth Murdoch was the patron of the Australian American Association of Victoria (AAA – VIC) for many decades until her passing in 2012. The wife of the organization’s founder, Sir Keith Murdoch, and matriarch to the Murdoch family, Dame Elisabeth was a strong and reliable supporter of the AAA, believing strongly in its mandate to foster friendship and understanding between the people of Australia and the United States of America. Frequently hosting events at her home at Cruden Farm, for many AAA members meeting Dame Elisabeth and spending time enjoying her beautiful gardens at Christmas time was the highlight of the social calendar.